The AMH Mini small size allows operation and storage in tight places. It is lightweight, durable and has a chrome exterior finish to resist corrosion. 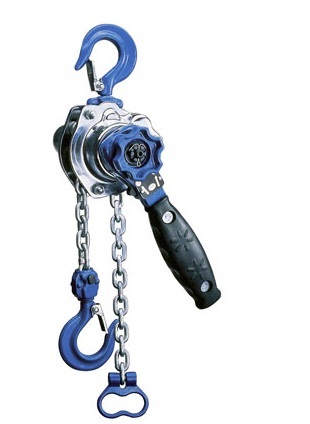 This hoist includes grade 80 zinc plated alloy load chain. It has sleeve bearings used to maximize serviceability and provide good efficiency. Self adjusting pawl and disc type mechanical load brake insures positive load contrrol. The hoist conforms to ASME/ANSI B30, OSHA, NASA-STD-8719.9 and EU Directives: 98/37/EC.